The immensely talented and highly regarded flamenco guitarist, Paco de Lucía, passed away due to a heart attack at the age of 66. A comprehensive obituary and profile can be found here via BBC. 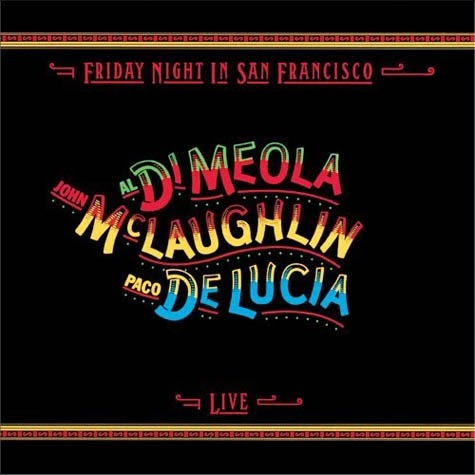 Although I'd never completely acquainted myself with his catalogue, de Lucía's performance with Al Di Meola and John McLaughlin in Fridday Night in San Francisco has been a constant in my life, those acoustic guitars either amiably strummed or intricately plucked throughout its entirety. The whole album plays like a conversation between friends, serious when it needs to be but prone to bouts of humor and joy. It's an album I adore, so central to the good in my life that it's what I reach for when a vacation destination is on the horizon or when contentment and warmth has filled my evenings.